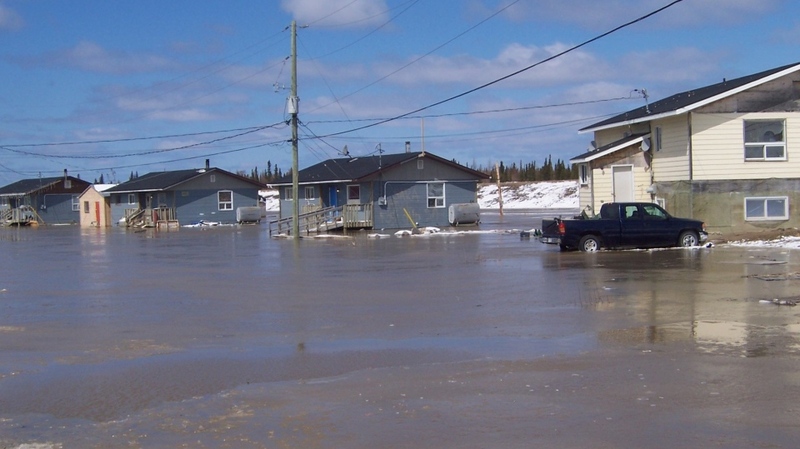 People from Kashechewan First Nation, over 400 kilometres north of Timmins, are once again being evacuated from their community due to flooding conditions on the Albany River. Some evacuees are scheduled to arrive at the Timmins airport between 2 and 4 pm Monday afternoon. 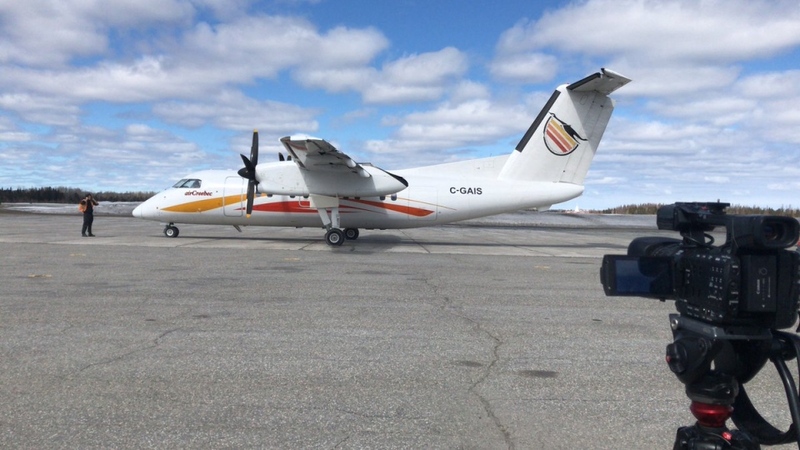 The City of Timmins is expecting to receive about 700 evacuees throughout the next week, with the first of many flights arriving April 15. It is the second year that Timmins has welcomed evacuees from the James Bay coastal communities as part of a new agreement with the provincial and federal governments. “Council and the residents of the City of Timmins welcome our neighbours from Kashechewan into our community under these difficult circumstances. This is a reoccurring challenge for the people of this remote community, and we can only imagine how difficult it would be to experience this displacement year after year. It is our sincere hope that these residents feel comfortable in our community throughout their stay, and we are confident the various community partners leading the process will provide the evacuees with excellent service and care during their stay.” said Timmins Mayor George Pirie. Cauline Perry is the general manager of the Senator Hotel in Timmins and says she has been working the past two weeks straight in order to prepare for the evacuees. She says they are expecting between 300 to 400 people, but not until April 19. Perry says they are preparing rooms, ordering more food, and hiring 10 – 15 additional temporary staff to accommodate the influx of visitors to the hotel. The GM says security personnel, nurses and other workers will be supplied by Gervais Consulting. Timmins – James Bay MP Charlie Angus says around 1,500 residents of the First Nation community will be flown to Timmnis, Kapuskasing, Thunder Bay, and Cornwall. "It's very stressful in the community right now. They do this every single year, but this year, there is fear that this could be a catastrophic year for flooding because of the heavy snowfall and also, you know, the engineering report shows us that that dyke wall is not safe. The community is technically at what they call ‘intolerable risk.’ One year, that dyke wall is going to fail. We spend millions every year in evacuation and millions every year on repairing flood damage and here's a community that needs to be moved to safe ground." said Angus. 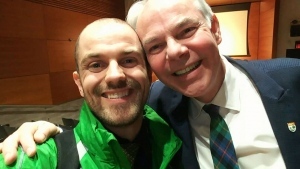 Dave Plourde is the mayor of Kapuskasing. He says his community has been preparing to take in evacuees. “It’s been a hectic couple of weeks preparing, but we’re pioneers in this. We’ve been taking in people for almost 15 years. 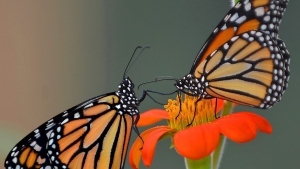 We pretty much wrote the book on it.” said Plourde. He says that his community is expecting 550 evacuees, but could see more. Depending on the need, Plourde says his town is always open to taking in more people. Last year, Kapuskasing took in nearly 800, putting their hotels at capacity and forcing them to utilize the local curling rink to house residents. In case longer term options are required, the town has close to 60 turn-key housing units prepared. “It’s all about making sure that they’re accommodated to the best of our abilities and we can do everything we can to facilitate the transition.” said Plourde.